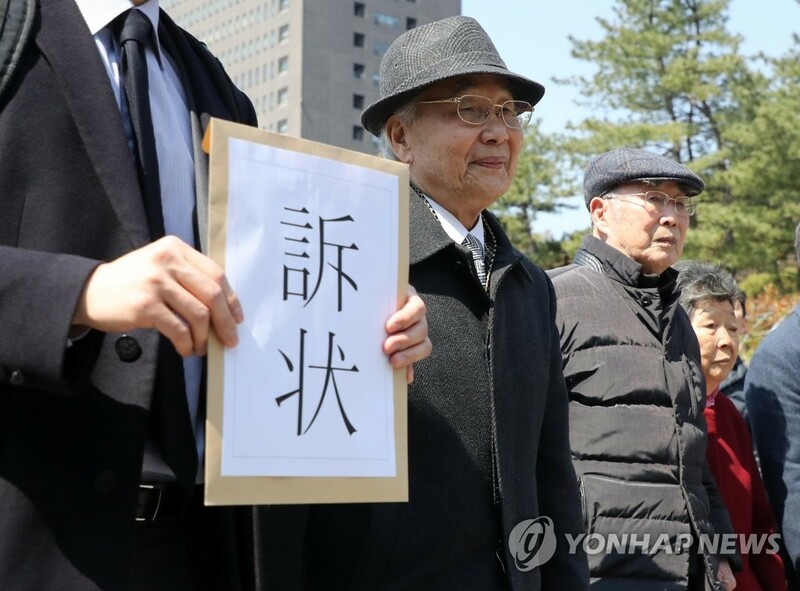 SEOUL, April 4 (Yonhap) -- Four more victims of wartime forced labor and several other surviving families filed damage suits with a South Korean court Thursday against Japanese companies, the first to be added since the Supreme Court rulings in favor of the victims. The fresh eight cases come with claims by a total of 31 plaintiffs against four Japanese firms -- Nippon Steel & Sumitomo Metal Corp., Nachi-Fujikoshi Corp., Mitsubishi Heavy Industries Ltd. and Nippon Coke & Engineering Co., the Lawyers for a Democratic Society and the Center for Historical Truth and Justice representing the Koreans said. 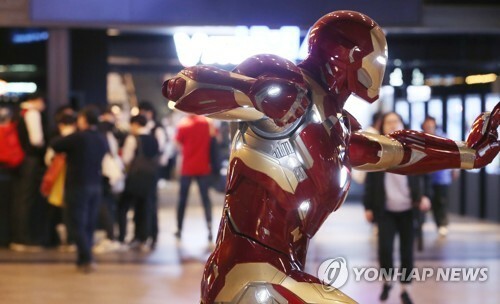 The new suits follow last year's two landmark rulings by the South Korean top court that ordered two Japanese companies to compensate victims for the unpaid wages and harsh treatment. Each plaintiff in the fresh cases is seeking up to 100 million won (US$88,000) in damages, the representing groups told a press conference in Seoul. Nippon Coke, formerly the Mitsui Mining Co., has been added to the list of the Japanese companies they are suing. Victims say that Mitsui took Koreans to its Miike coal mine in Fukuoka and forced them to toil without pay between 1943 and 1945. Korea was under Japan's colonial rule from 1910-1945. Two victims who lodged the suit, including 102-year-old Kim Han-soo, appeared before media to tell their stories. "I feel something gushing out of me when I think now (about the past). It's one difficult matter -- why did we have to be taken by them and live like dogs and pigs?" Kim said. The Japanese firms have not complied with the Supreme Court rulings, sending the victims to seek court seizure of their assets in Korea. Victims have proposed the matter be settled through mediation and say they do not want the court to actually carry out the seizure. But the firms have responded negatively to the proposal. Japan says all compensation matters relating to the colonial period were settled under a 1965 treaty where it provided aid then valued at $300 million -- about $2.4 billion in today's money -- and wants the talks to be based on that agreement.